I recently came across a video on YouTube, although it was because a friend of mine shared it with me who got it from a friend. Regardless of how I came upon it, the YouTube video is titled â€œObama Mocks & Attacks Jesus Christ And The Bible/Video/Obama Is Not A Christian.â€ This particular video was posted on October 12th, 2008. At this point, youâ€™re probably curious why I would even write about the video on June 25th, 2012. For one, the video still exists for people to witness, behold, and guzzle down unwittingly. Another reason, is that because it still exists, it still has influence. My friend, who showed me this video, was outraged at the fact that his friend, who posted it initially â€“ believed what it had to say. This of course is a fundamental problem with politics and the abundance of fact-free campaign ads, as this video was meant to function as. The video, which is only 2:09 long, scrapped together a few moments from a keynote address called â€œCall to Renewalâ€ on June 28th, 2006. The text of the video will be shared here, which was gathered from a website (as I did not feel like transcribing it myself), and edited as there are some errors. I will explain how this video is misleading, and how it garners to the population of voters who would rather accept things blindly, through biased assumptions, and a deficit in critical thought. â€œ[Narrator]On June 28th 2006, Senator Barack Obama gave a speech to the Call To Renewal Conference. Where he explains why he finds it so difficult for America to use the bible to help guide our public policy. 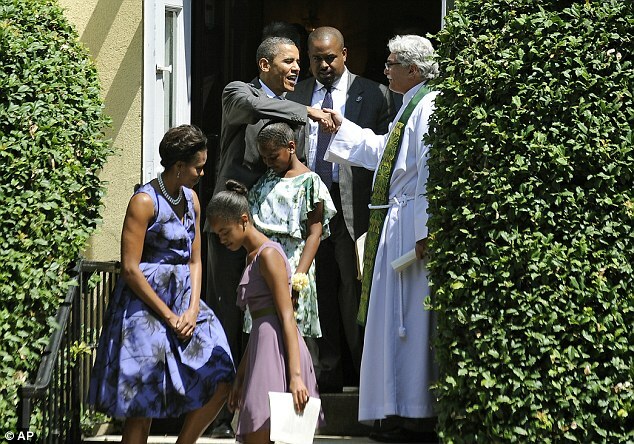 [Obama] Which passages of scripture should guide our public policy? Should we go with, Leviticus which suggests slavery is okay? Or we can go with, we could go with Deuteronomy, which suggests stoning your child if he strays from the faith? Or should we just stick to the Sermon on the Mount? A passage that is so radical that itâ€™s doubtful that our own Defense Department would survive its application. Folks havenâ€™t been reading the bible. [Narrator] Senator Obama after you so arrogantly mocked and ridiculed the books of Leviticus, Deuteronomy and the Sermon on the Mount, taking those passages from the Bible so painfully out of context you then condescendingly stated quote: â€œFolks havenâ€™t been reading their Bible.â€ un-quote. As if the American people donâ€™t know whatâ€™s in there. The real question is, do you know whatâ€™s in there Senator? For instance, did you not know that most Christians and Historians agree that the Sermon on the Mount, contains the most spiritually inspiring words ever uttered by Jesus Christ or any other religious leader. And as far as you sarcastic remark regarding the Defense Department not being able to survive the Sermon on the Mounts application, I can assure you Senator that Christ would never advocate to turning the other cheek to terrorists and Americaâ€™s enemies. As your smug laughter so clearly implied. And did you not know Senator Obama that the book of Deuteronomy which you also arrogantly mock and ridicule is what gave us the Ten Commandments. Folks all those condescending remarks distorting our Judeo-Christian Bible did not come out of the mouth of Barack Obamaâ€™s pastor Jeremiah Wright. No! It came straight out of the mouth of Barack Obama. Before I continue with an analysis, I feel that it is necessary to share a few observations. First, this small video was only 2:09 in length as compared to the entirety of the original speech that Obama gave, which lasted 43:31. Second, in this small video, the extent to which Obama is quoted is only 81 words â€“ out of 4,592 (0.017% of the actual speech). The narrator used three times as many words (245) to critique Obamaâ€™s entire speech, personality, and religion only to conclude that he wasnâ€™t, in fact, a Christian. Not that this is particularly earth shattering, it does at least, in some small way, show how things can be sorely taken out of context from its original message, and then hurled into the public domain â€“ dominated by bliss and ignorance â€“ where it will be perceived as fact rather than the fiction that it is. In sum, I hope that this has been a useful analysis when dealing with deceitful narrators against a person, such as the United States of America. People not only havenâ€™t been reading their Bibles, but theyâ€™ve been following wolves. Thereâ€™s a deficit of skepticism in America â€“ a concept that America was founded upon. Lastly, I wish to further perpetuate the statement that I am not a Christian. I was raised a Christian, and preferred a life of reason, skepticism, and philosophy. This does not however mean that I do not find relevant and important moral standards within Christianity, or other religions. I believe in justice, I believe in virtues, compassion, forgiveness, peace, and a variety of other principles that are found within all corners of the world â€“ whether itâ€™s by the hand of Christians, or non-Christians. I do not, however, support lies, and deceit in the name of God. President Obama also addressed the ongoing ignorance over his faith, including the belief among some in the U.S. that he is Muslim. 'You know, there's not much I can do about it,' said the president. 'I have a job to do as president, and that does not involve convincing folks that my faith in Jesus is legitimate and real. 'I do my best to live out my faith, and to stay in the Word, and to make my life look more like His.